Isha Ambani and Anand Piramal’s pre-wedding celebrations surpassed every gala in hype and glamour. The Ambanis have left no stones unturned for the nuptials to become the only talk of the town. From Bollywood stars taking to the dance floor together to American singer Beyonce flying down to Udaipur for a private concert, the sangeet saw the who’s who come from across the world shake a leg. A new video is now going viral and it has former US secretary of state Hillary Clinton dancing to Bollywood hit numbers with Shah Rukh Khan and a few other actors. The widely circulated clip is undoubtedly one of the most legendary moments till now from the wedding celebrations. 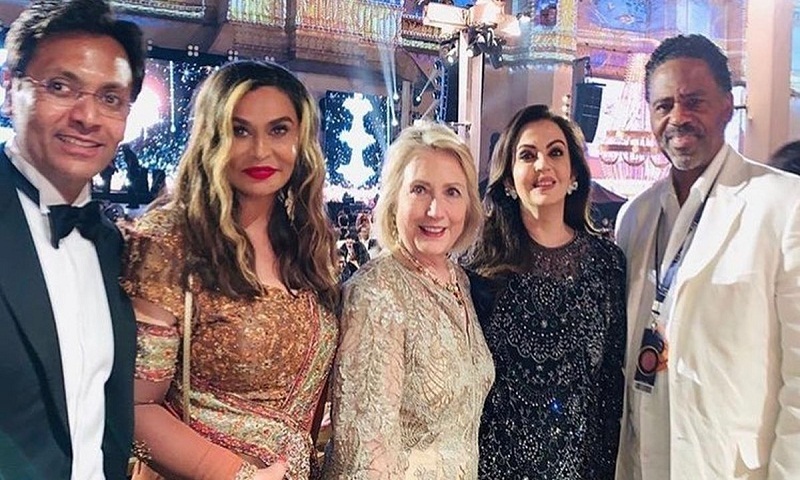 Dressed in Indian attires, Hilary Clinton took to the stage with John Kerry, who served as US secretary of state from 2013-2017, and matched steps with Shah Rukh Khan, Aamir Khan, Karan Johar, and Aishwarya Rai.